As was expected UK Prime Minister Theresa May suffered a defeat in the crucial Brexit vote. Yet apparently, traders used “sell the rumor, buy the fact” approach for the Great Britain pound as the currency jumped on the news. As was widely expected, the Parliament rejected May’s “Withdrawal Agreement” approved by the European Union leaders. The defeat was resounding, with 432 MPs voting against the agreement and just 202 voting in favor of the deal. The Prime Minister has three days to make a new proposal to the Parliament. Yet even that is now in question after the opposition Labor Party leader Jeremy Corbyn tabled a motion of no-confidence. What happens next is virtually impossible to predict. What is almost certain is that the sterling will be very volatile in the near future. 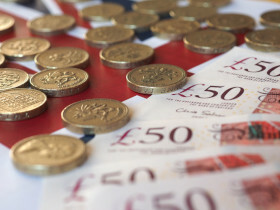 GBP/USD sank from 1.2860 to 1.2669 intraday but bounced to 1.2887 as of 20:52 GMT today. GBP/JPY opened at 139.08, tanked to 137.35, but rebounded to 139.99 later. EUR/GBP declined from 0.8911 to 0.8856 after rallying to the daily high of 0.8985 earlier.